SERVICE pupils rose to the challenge by taking part in Mindsets, an Outward Bound Trust programme designed to develop participants’ confidence and resilience. Youngsters from Beeslack Community High School near Edinburgh began with a challenging mountain rescue exercise in the Pentland Hills, followed by a residential programme. 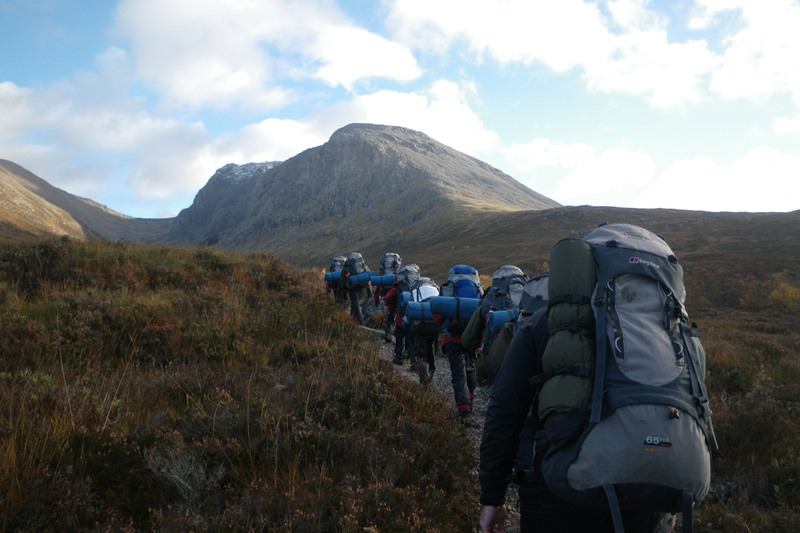 The course comprised a series of progressively more adventurous challenges, culminating in a three-day expedition in the West Highlands, including an ascent of Ben Nevis by the older children. The programme helped develop the students’ skills, fostering greater determination to achieve their goals. Back in school, teachers observed a positive change in attitude and behaviour, with graduates more determined to succeed and younger children displaying more independence and confidence. The strong bond that now exists between the pupils will help them to cope with the effects of deployment of a family member. The programme was jointly funded by the MOD and Midlothian Council.If you or your child’s school would like to know more, send an email to enquiries@outwardbound.org.uk or call 01931 740000.